At Sturbridge Yankee Workshop we take pride in the beautiful holiday collectible sculptures we are able to share each holiday season. 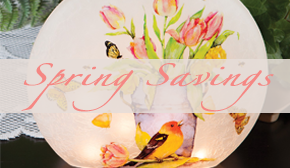 We know our customers enjoy adding to their personal collections year after year. Both the designers of Williraye Studio and folk artist Lori Mitchell inspire charming and fun holiday decor in your home. Any of the collectible sculptures featured below would also make a thoughtful gift idea for the collector on your list. Let’s take a look. Pictured here to the left is a new addition to the Williraye Studio collection at SYW. 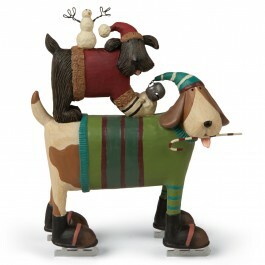 Meet our Ice Pond Pals Holiday Sculpture, originally handcrafted and hand painted by designer Bobbe Punzel-Schuknecht. Combined with the accomplished carving talents of her husband, Jeff Schuknecht, the two form the creative world behind Williraye Studio. Whimsical in nature, dog lovers rejoice with this cute dog themed decorative for the winter months. You’ll enjoy noticing all of the fantastic design, color, and quirky details. On a similar theme, our Two for the Slopes sculpture brings the fun from the ice rink to the slopes. Both of these resin collectibles are available now for $34.95 each with free shipping this holiday season. 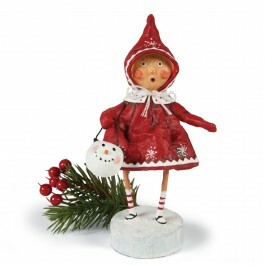 ~ Browse more holiday sculptures from Williraye Studio. Introducing our Bundled up Brenna holiday sculpture, shown here to the left. Brenna sure is bundled up on this snowy day, wearing her festive red coat with snowflake and polka-dot details. Her cute tiny legs poke out beneath the coat as she works her way through the icy snow in her black Mary Jane shoes. Pair Brenna with our adorable Discovering Santa sculpture, another addition to our every growing collection of folk artist, Lori Mitchell. This little girl has happened to stumble upon Santa Claus on Christmas Eve night. Boasting the same rosy, red cheeks, charismatic facial expressions, and stick legs we have come to recognize and appreciate from this artist over the years, both can be purchased now for just $34.95 each with free shipping. ~ Browse more holiday collectibles from Lori Mitchell. Any of the holiday collectible sculptures shown here today would be ideal if displayed on a mantle space, shelf, or side table. If not adding to your home decor this season, remember these gift ideas for friends, co-workers and family alike. This entry was posted on Friday, November 16th, 2012 at 10:14 am	and is filed under Artist, Decorating, Gift, Holiday Decorating, Seasonal Decorating. You can follow any responses to this entry through the RSS 2.0 feed. You can leave a response, or trackback from your own site.